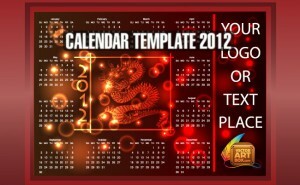 Absolutely free vector calendar template of style 2012. Coming Dragon Year by Chinese style. Calendar with HQ Dragon on a stunning background you can download for free. Free for commercial.